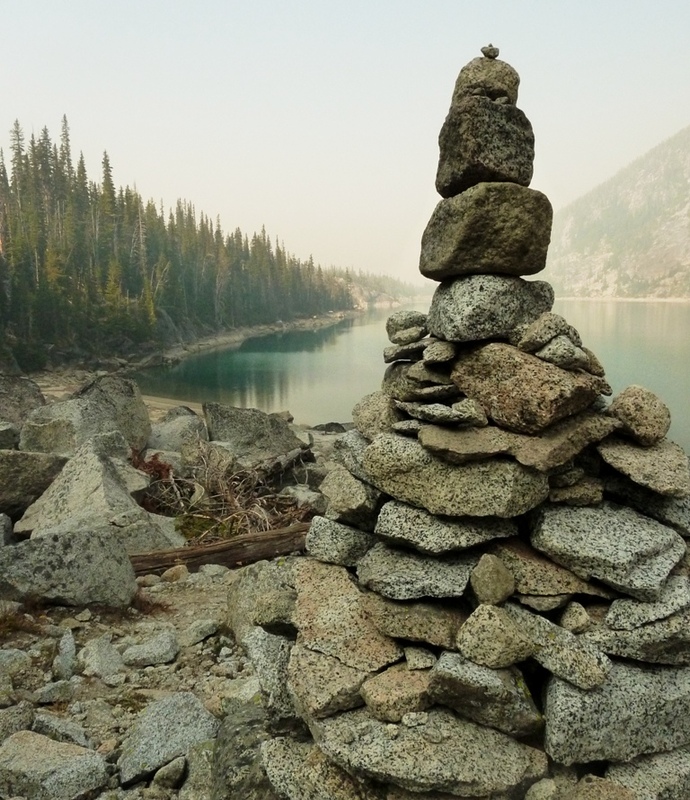 A cairn in the Enchantments, that spectacular backcountry on the east side of the Cascades Mountains and near to the town of Leavenworth, Washington. Notice the classic erosion of the granite, which creates perfect stone for erecting a tall, and what I think is a rather handsome cairn. The haze in the background comes from big fires burning around Wenatchee, about 25 to 30 miles to the east. By the way, the lake is Colchuck Lake. How beautiful….what a great way to spend a life…finding beautiful spots on earth to write about!